Lose what you’ve copied? Or spend too much time switching back and forth between apps, just to copy/paste few things? 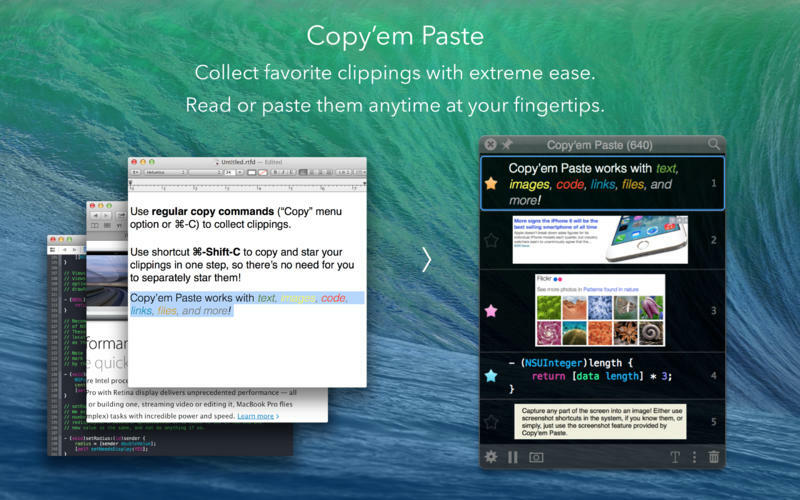 Copy`em Paste lets you copy many things and keep them — without switching between apps! 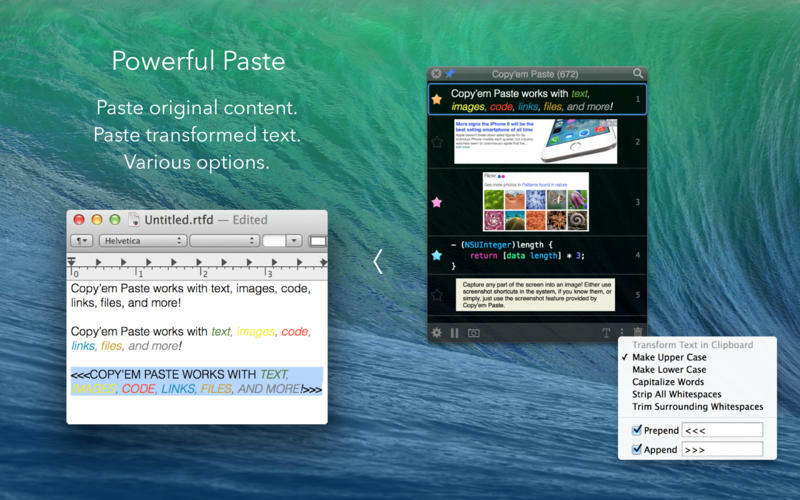 You can use it to speed up your copy/paste workflow, or simply, collect your favorite clippings with extreme ease! ** You can skip Step 3 altogether, by simply installing an auto-paste helper app, available for free from our website. Then Step 2 above will automatically paste the clipping for you. Please rate this app. We value your feedback.